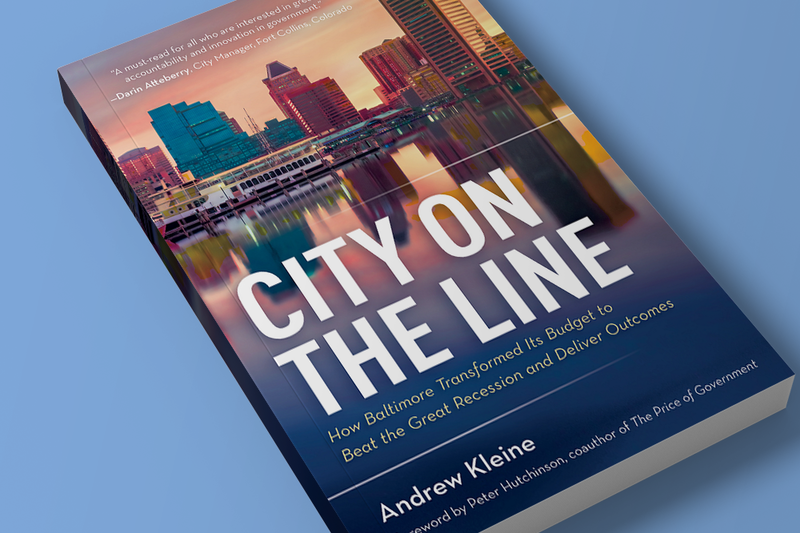 On the surface, my new book, City on the Line: How Baltimore Transformed Its Budget to Beat the Great Recession and Deliver Outcomes (Rowman & Littlefield), is about a new way for governments and other mission-driven organizations to make spending decisions. At a deeper level, it is about disrupting the status quo of a 225-year-old organization deeply set in its ways – a change management challenge to say the least. What we were trying to change was the annual budget process, which is the most entrenched bureaucracy in any government. Sturdy silos protect the base funding of agencies, and with few exceptions, adjustments to base funding are incremental. Agency officials and their special interest comrades stand guard against even the tiniest of funding reductions and the prying eyes of budget analysts. When cuts are necessary, they are made across the board, protecting underperforming programs and punishing the high-value ones. Breaking down the silos and putting outcomes, instead of agencies, at the center of Baltimore’s budget-making, took leadership from the top and the middle of the city org chart. The mayor’s blessing of Outcome Budgeting was essential, but not nearly enough on its own to overcome the suspicion, fear, and resistance we encountered when we began to undo traditional budgeting. Mayors come and go, but bureaucracies endure. Down in the trenches of organizational change, there are no generals to dive on the grenades thrown your way. In the first year of Outcome Budgeting, the incoming fire was heavy. The Great Recession had strafed the city’s budget, and no budget process was going to prevent painful retrenchment. 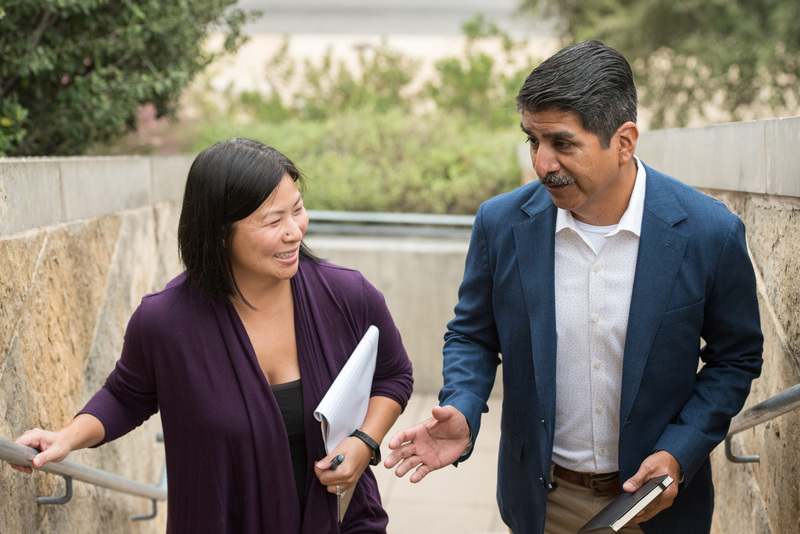 From where I sat in City Hall, Outcome Budgeting had helped us prioritize spending to avoid across-the-board cuts, eliminate programs that couldn’t demonstrate results and protect and even enhance funding for programs that could. We balanced the budget without using a dime of reserves and repurposed dollars to advance the mayor’s outcomes. The takeaway was that if we couldn’t gain the trust of agency heads, they could go through the motions of Outcome Budgeting and we would never realize its full potential. No mayoral knuckle-rapping was going to win the hearts and minds of old school agency heads who wanted to be given a budget target and left alone. As budget director, this was my call to leadership. I am lucky to have had some great leadership role models in my career, and to have spent a month at the Kennedy School of Government’s Senior Executive Fellows program, where I met Marty Linsky, co-author (with Ronald Heifetz) of Leadership on the Line: Staying Alive Through the Dangers of Change. What Marty taught me that I have never forgotten is that leadership is about going beyond your formal authority to get people to tackle the problem at hand, to make them face what they do not want to face. In Baltimore’s case, the problem was that many of the city’s problems – from violent crime to failing schools to blighted neighborhoods – were getting worse while city government spent tax dollars the same way year after year. Inertia was not the answer. First and foremost, be persistent. Even if you do a good job of explaining and preparing people for change, opposition will come at you in many forms. Opponents will try to confront, marginalize, co-opt and ignore you; they will give you every reason to quit. Winston Churchill said, “Success is not final, failure is not fatal: it is the courage to continue that counts.” If you have Churchill’s “courage to continue,” you will gradually win your opponents over, wear them down, or outlast them. Second, listen. We heard a lot of feedback about what was wrong with our Outcome Budgeting implementation, and we made adjustments. Third, nurture a network of champions. It is tempting to focus your change management energies on converting foes. I chose to spend more of my time finding and fostering friends, many of whom you will meet in my book. With enough friends, you can overwhelm the resistance. Andrew Kleine is the Chief Administrative Officer, Montgomery County, MD., and was Baltimore’s budget director from 2008 to 2018. He received the 2016 National Public Service Award from the American Society for Public Administration and the National Academy of Public Administration. You can find more information about his book at www.cityontheline.com; (awkleine1370@gmail.com).